POST EXERCISE SORENESS. SHOULD IT HURT THIS BAD? NO PAIN, NO GAIN? WHY ARE MY MUSCLES HURTING AFTER EXERCISE? Have you ever wondered why your muscles get sore, stiff or painful one or two days after you have a workout session, be it in the fitness center, or after that first run after the when the weather improves? What you feel is what we medically refer to Delayed Onset Muscle Soreness, or generally known as DOMS. DOMS is what you experience after beginning a brand new exercise program, or rapidly altering or upping the work load or pushing the body to the extreme. As painful as it is, it's a very ordinary bodily response that every fitness enthusiast will experience at some stage. Though it might feel like an injury, the painful consequence is merely the product of the process that's part of an important adaptation occurring in the muscles that will eventually result in favorable advancements as increased strength and endurance gains. There's been some confusion surrounding the real cause of DOMS, but studies have identified that there is a lot going on here. These tears are not like a muscle tear that you simply see in athlete that causes them to go down hard and leads to weeks out of action. Rather, it’s a group of microscopic tears that are dependant on duration, the quantity, type and intensity of your workout. Most often, an eccentric contraction of the muscle is the culprit of there microtears. This occurs when you contract your muscle while it is lengthening (think lowering the weight from a bicep curl). The body reacts with an inflammatory response when these microtears happen and you may experience minor swelling, limited freedom of movement, pain and stiffness that usually peaks about 24-48 hours after your work out. This may seem terrible, but at exactly the same time the muscles are also sending a message up to the mind to say that they're not quite strong enough to contend with that amount of action. This subsequently stimulates chemical reactions in the muscles which cause adaptations that allow you to do the same workout next time more easily and not be as sore the following day. The amazing thing about DOMS is that it usually subsides within 2-7 days. Listed below is our Top 9 Tips that you can do that might enable you to get over DOMS that little bit faster. Sadly there is no instant remedy. 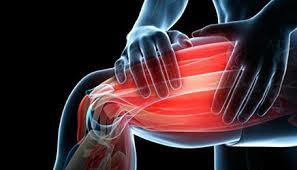 However, the ideas below have been found useful in managing muscle soreness. So have a go with a number of tips and see which ones work for you. 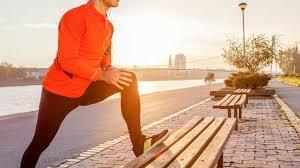 • Doing a great warmup prior to each session has been connected with reducing the severity of DOMS. So be sure to get that heart rate up and sweat before you begin your session. • Using a foam roller following your session may assist I the recovery of the muscles. • A 5-10 minute active cool down following your exercise session can help the body remove waste products from the muscles and enhance circulation and blood circulation. This may be comprised of a low intensity aerobic activity like a slow ride or a walk. • Research has indicated that massage increase blood flow, may assist in reducing swelling and reduce the pain of muscle soreness. It might seem insane, but this method might help by reducing swelling and inflammation in the muscles, reduce the soreness after that extreme exercise session. • For those who are experiencing DOMS that is exceptionally distressing, the RICER method for acute harms may additionally help. Rest, Ice, Compression, Elevation and Referral to a physical therapist may help alleviate your symptoms through reducing swelling and pain. • A stretching session may help you feel great after almost exercises. Additionally it may be relaxing and pleasant after a sound workout. Although you may want to jump into a large work out after having a few months away, consider easing yourself into it, even if it doesn’t feel like you're working that hard at the time. You may not want to get out of bed and go for a walk or ride the next day because you are too sore, but it has been shown that low to moderate activity the day after a big session can assist in reducing your soreness. So now that you understand that DOMS is a standard consequence from physical training – the first thing to do DON’T PANIC! General soreness after exercise is a normal thing. If your pain doesn't settle after 2-7 days, or you're concerned your soreness might be more than DOMS, it is advised that you seek medical advice as soon as possible. 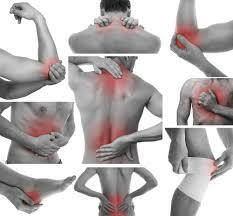 Emery Physical Therapy has provided physical therapy for Elk Grove residents for 17 years. We are located at the corner of Elmhurst Road and Oakton Road. Click here to learn more about Injury Recovery.